Imagine yourself in an overgrown garden, butterflies overhead, bees buzzing, flowers in full bloom: that's the vibe of Flores Biancas, which garlands an intricate, skipping house groove with organ stabs, plinking harp melodies, and strange, backwards effects. It's hard to imagine house music sounding dreamier or more graceful, but deep, muscular bass tones mean that it holds its own on any dance floor. Gauchito Gil leaves the garden to go wandering across the Argentine pampa, with subtly effected voice and wisps of violins blowing like a cool, refreshing wind. Delicate kalimba melodies play off against enveloping bass, almost overwhelmingly sensual. Difunta Correa plays with similar ideas, but rolling Latin percussion and sampled jazz drums add presence and rhythmic urgency — it's a daydream that sweeps you up from your head to your feet, with a breakdown that feels like an out-of-body experience. It's the kind of track that open-airs were invented for. Finally, Geneva's Lee Van Dowski turns up with an edit of Gauchito Gil that leaves its sounds and structure intact, adding a weightier kick drum and more forceful percussion, and turning Daria's reverie into a full-on stormer. It's beauty and brawn all wrapped up in one perfect package. 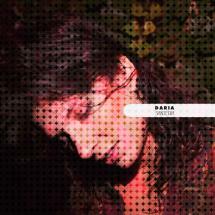 All tracks written and produced by Daria Mechkat for Cadenza Lab. "Gauchito Gil Edit by Lee Van Dowski.